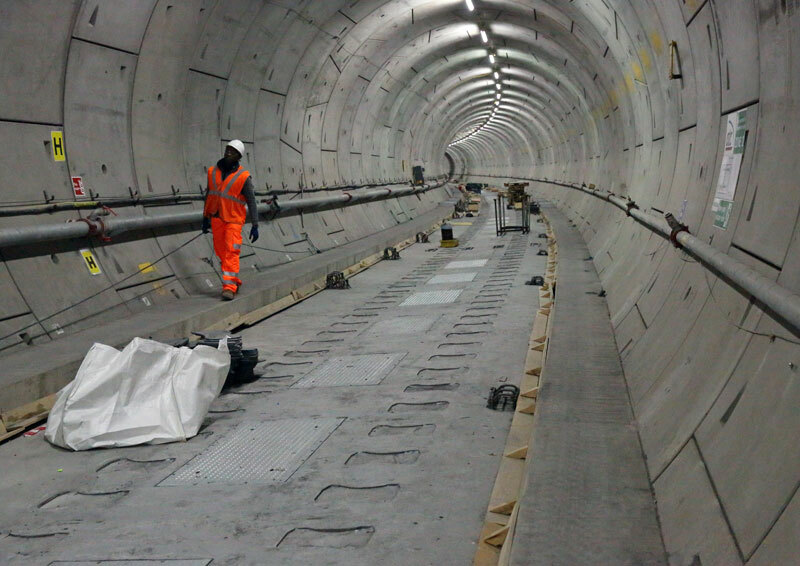 Crossrail is delivering the Elizabeth line which is due to open in central London from 2018. The new railway includes 42km of tunnels underneath the city. In sensitive sections of the tunnel network, noise and vibration impacts from the operating railway had to be minimised. The solution was a high density floating track slab (FTS), produced using MagnaDense concrete with a density of 3.6 t/m3. ​The FTS has been used for sections of track between Tottenham Court Road and Bond Street stations, below the Barbican, to help reduce the impact of noise and vibration on above-ground infrastructure. Additionally, due to the gauge of the track, the volume available for concrete was limited. It was evident a space saving resolution was required. What were the design challenges and how did the project arrive at the solution? What challenges were encountered in the development of the concrete solution? How important was dense concrete to achieving the solution and why was MagnaDense chosen as the aggregate? What were the dense concrete installation challenges in such a populated area?